Justice Antonin Scalia’s death was not only a great loss, it was a moment of turmoil for our nation that tested the resolve of our leaders. A lifetime appointment to the nation’s highest court is one of the weightiest decisions a president can make under any circumstances, but since the Supreme Court imposed abortion on demand through birth on the entire country in Roe v. Wade more than 40 years ago, millions of innocent lives hang in the balance, along with the right of the people and their representatives to govern themselves. Twenty-one percent of voters said that the Supreme Court vacancy was the most important issue on their minds going into the 2016 presidential election. McConnell’s proposal was simple and reasonable: let their voice be heard. The challenge was standing firm through the firestorm of opposition from ideologues hoping to see Barack Obama or a future President Hillary Clinton stack the Court with pro-abortion justices, cementing their radical agenda for generations. 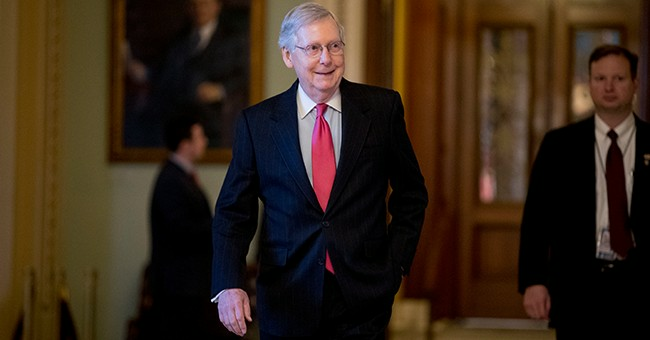 McConnell never wavered in his determination to let the people decide the future of the Court, and his instinct that Americans were hungry for change proved correct. The voters overwhelmingly put their trust in President Trump to choose Justice Scalia’s successor; Kentuckians turned out to elect him by a 30-point margin. Their wisdom – and McConnell’s – was evident when President Trump nominated Neil Gorsuch to the Court. Gorsuch’s stellar credentials should have made him a shoo-in. Instead, the abortion lobby went to unprecedented lengths to obstruct him. Once again, McConnell knew exactly what had to be done and moved to end the filibuster. Now, partisan extremists can no longer hijack the confirmation process to block votes on qualified nominees. Still greater battles lay ahead. When Justice Anthony Kennedy retired, suddenly President Trump would not only be replacing a passionate constitutionalist, but also shifting the balance of the Court away from dictating policy to the people and toward greater respect for their views. The bitter fight to confirm Kavanaugh was a wake-up call. The same pro-abortion extremists who obstructed Gorsuch went even further to try to discredit Kavanaugh, exploiting the painful issue of sexual assault to destroy him personally. Were it not for McConnell’s steady hand, the outcome might have been very different. After both sides had their chance to speak, ultimately it was clear that Kavanaugh deserved to be swiftly confirmed, and pro-abortion Senate Democrats’ obstruction helped cripple several of their vulnerable colleagues’ re-election campaigns. Leader McConnell has played a valiant role in President Trump’s legacy of reforming the courts. Now with the real possibility of a third Supreme Court vacancy, pro-life citizens can have peace of mind knowing McConnell will never back down from the good fight. Marjorie Dannenfelser is president of the national pro-life group Susan B. Anthony List.